Story Maps harness the power of maps and geography to tell a story by combining web maps with narrative text, images, and multimedia content. Story Maps use an interactive builder that guides you through the process of authoring your stories. There are a variety of Story Map applications to choose from such as Story Map Tour, Story Map Journal, Story Map Series, Story Map Swipe, Story Map Spyglass, and Story Map Basic. But which one is best for you? One way to decide is to visit the Story Maps Gallery, where you can discover examples from the Story Map community. 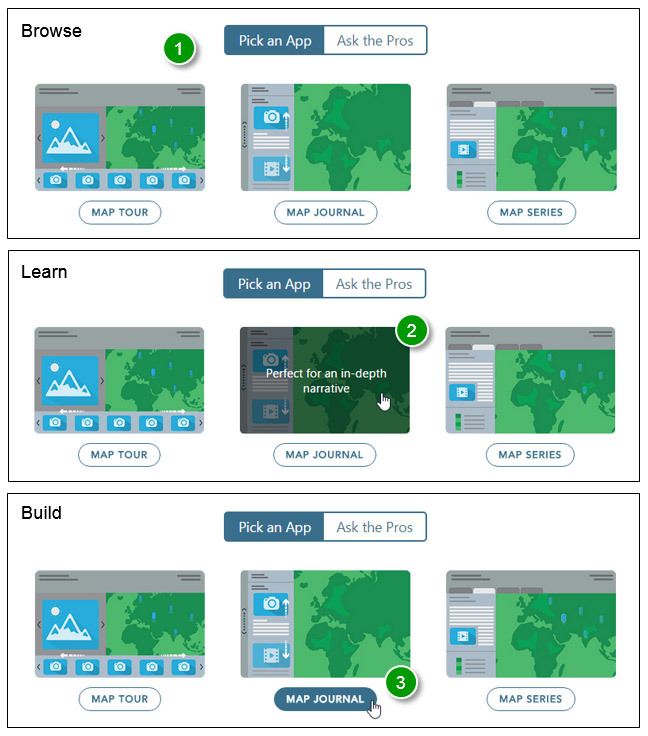 Another way is to explore the list of Story Map apps, which includes an introduction and links to additional information for each. A newly introduced feature on the Story Maps site is Create Story, which offers the easiest way to get started. Create Story lets you select the app you want to try or make your choice based on expert opinion. 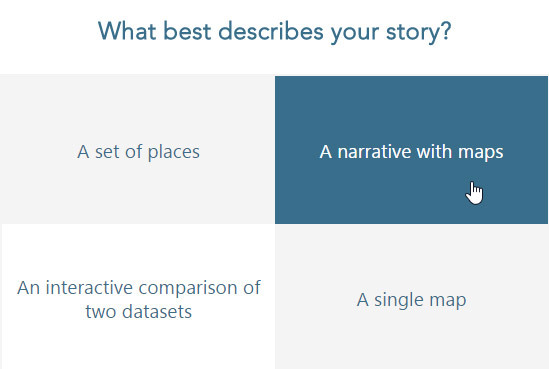 Here's how you can use it to decide which Story Map app is best for you. Where Do I Find Create Story? Create Story can be found in several places: on the main Story Maps home page, the Apps page, and the My Stories page. Open any of these locations and look for the CREATE STORY button. Click CREATE STORY and then click Pick an App. Learn—Hover over any thumbnail to learn more. Build—When you've found the one you want, click to launch the builder. Still Not Sure? Ask the Pros! If you remain uncertain about which Story Map app is right for you, click Ask the Pros. Then click the box that best describes your story and answer any additional questions. For the example below, A narrative with maps was chosen. Then answer the question by choosing Click. 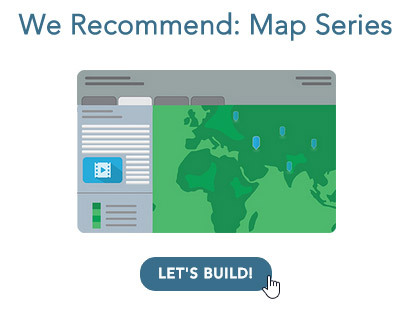 This provides the pros' recommendation to use Story Map Series. Click LET'S BUILD! to get started. So when in doubt as to which Story Map app to use to tell the world (or just your organization) your story, let the experts help.